As this site has long documented, DRM more often than not provides a false sense of security to those terrified of piracy, yet just as frequently annoys paying customers -- ironically driving those customers to the piracy alternatives the DRM was supposed to prevent in the first place. The latest example of this phenomenon: with the latest version 5.0 of the Netflix app, Netflix is now leaning entirely on Google's Widevine digital rights management system. 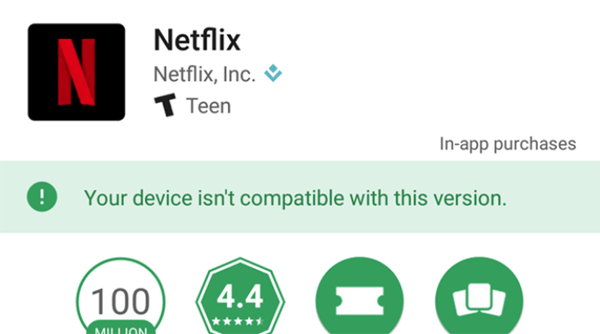 With Netflix recently introducing downloadable shows (assuming the license for that specific program allows it), Netflix's programming partners likely wanted Netflix to utilize Widevine to ensure that Netflix's app "only works with devices that are certified by Google and meet all Android requirements." 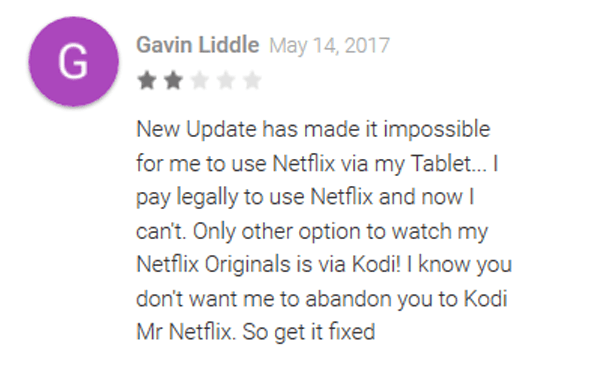 "With our latest 5.0 release, we now fully rely on the Widevine DRM provided by Google; therefore, many devices that are not Google-certified or have been altered will no longer work with our latest app and those users will no longer see the Netflix app in the Play Store." The thinking on the part of Netflix and broadcasters is that those with rooted phones and custom ROMs have greater control over the OS, and therefore have a better chance of being able to bypass the DRM. But again, many of these folks simply modify their devices because they enjoy the greater flexibility it provides, not necessarily because they're looking to pirate content. Now, those users are faced with a choice of either giving up additional control over their device just to watch Netflix, or heading to piracy alternatives if they want to watch Netflix programs. To be clear, this isn't exactly the apocalypse. There are methods that allow you to hide the fact that your device has been rooted, and many users say they're still able to sideload the Netflix app to the devices (for now). But the fact remains that these customers aren't technically doing anything wrong, but are being punished anyway. All for what's likely a largely false sense of security, given all of the content these companies believe they've secured is going to wind up on BitTorrent networks anyway. As such, the only real net result? Annoyed paying (and now possibly former) customers. Netflix has officially jumped the shark. It's no longer an edgy, rebellious new company who is defying the status quo; it's joined the ranks of established big corporations, and is now part of the status quo.